Home MORE FROM ITALOEUROPEO TWO MONEY Should I Repay my Mortgage? There’s a double whammy hitting the UK’s home-owning savers. Money in the bank earns pitiful rates while mortgage costs haven’t tumbled nearly as much. Thus the question on many lips is ‘should I overpay my mortgage with spare cash? Some spanners in the works include repayment penalties, need for emergency funds and more. This guide will help you decide, and includes the ‘is it worth it?’ and ‘mortgage overpayment’ calculator. Before you begin, you need to establish a few key facts. Without them, you can’t make this substantial financial decision. This isn’t a question of whether repaying your mortgage beats yourcurrent savings. Instead, it must be ‘does repaying my mortgage beat the highest paying savings available?’. Many people are earning pitiful rates, and assume they can’t improve this. Yet often much better deals are available. So if you haven’t already check the top savings account and top cash ISA guides for all the best rates. You needn’t switch to them right now (as overpaying your mortgage may win out), but at least know what’s on offer and compare against that to calculate the right option. Would you face overpayment penalties? Some lenders punish those who try to repay their mortgage quicker than agreed. This is especially common if you have a special offer fixed or discount rate deal (see the free Remortgage guide for details). This is because lenders want you to stick with them once the cheap rate ends, as at that point their rates shoot up. This means it’s not in their interest to let you repay the mortgage more quickly, because the longer it takes you to repay, the more they earn. Thankfully many allow up to 10 per cent annual overpayments without penalties, but you must check with your lender. Any substantive extra costs are likely to outweigh the gains from overepaying the mortgage. Clear credit cards and loans before overpaying your mortgage as they’re usually more expensive. From this point on, we’ll assume you’re free of all other more expensive debts and have spare cash. Do you have a sufficient emergency fund? 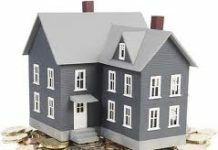 Overpay most mortgages and the cash is gone. So if the roof leaks or boiler bursts you may be forced to use expensive credit cards instead. Your earlier overpayments won’t stop lenders charging you for being in arrears if you miss monthly repayments (see mortgage arrears help guide). This applies even if the calculator shows you’d be better off overpaying your mortgage. It’s what’s known as ‘a premium for liquidity’ in other words sacrificing some interest for easy access to cash when needed. Can you cut the cost of your mortgage? It’s worth checking to see if your mortgage is over-expensive before making the decision. If you can get a cheaper mortgage it may change the result. 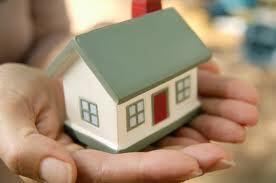 So take a quick look at the Cheap Mortgages Guide or Cheap Remortgages Guide for more. Previous articleVanessa Paradis as rumours her relationship with Johnny Depp is floundering.